The 11 judges were initially tasked with listening to the twenty outstanding albums that made up this year’s SAY Award Longlist, chosen by 100 impartial music industry ‘Nominators’ and announced on 1 August at ‘Live at the Longlist’; a live music event in Glasgow hosted by journalist and broadcaster Nicola Meighan. The event saw performances from previously nominated acts and raised money for Help Musicians Scotland, The SAY Award’s chosen charity partner for 2018. The judging panel have now undertaken the task of narrowing the Longlist down to curate a Shortlist of ten albums, which includes, Golden Teacher’s ‘No Luscious Life’, Mogwai’s ‘Every Country’s Sun’ and Young Father’s ‘Cocoa Sugar’. Of the 10 Shortlisted albums, Franz Ferdinand’s ‘Always Ascending’ was automatically guaranteed a coveted spot on the Shortlist, as the winner of this year’s 72-hour online public vote which took place at sayaward.com from 20th– 22nd August. Stephen Allen, curator of the exhibition Rip it Up: The Story of Scottish Pop at the National Museum of Scotland said: “The Rip It Up exhibition, and all of the associated programming with BBC Scotland, Edinburgh International Festival and others are, we hope, inspiring people to engage with and celebrate Scottish pop music. The SAY Award showcases the best of new Scottish pop celebrating its innovation, quality and diversity, and the six previous winning albums are on display in the exhibition. We’ll be bringing that up to date with the inclusion of the 2018 winner, and so I’m delighted to have been invited to contribute to the selection process”. The Shortlist was announced on August 23rd at a special BBC Radio Scotland Quay Sessions show, presented by Roddy Hart live from BBC Scotland’s HQ at Pacific Quay in Glasgow. The live show and broadcast included new material from pop-duo Sacred Paws whose album, ‘Strike a Match’, won the acclaimed SAY Award in 2017. 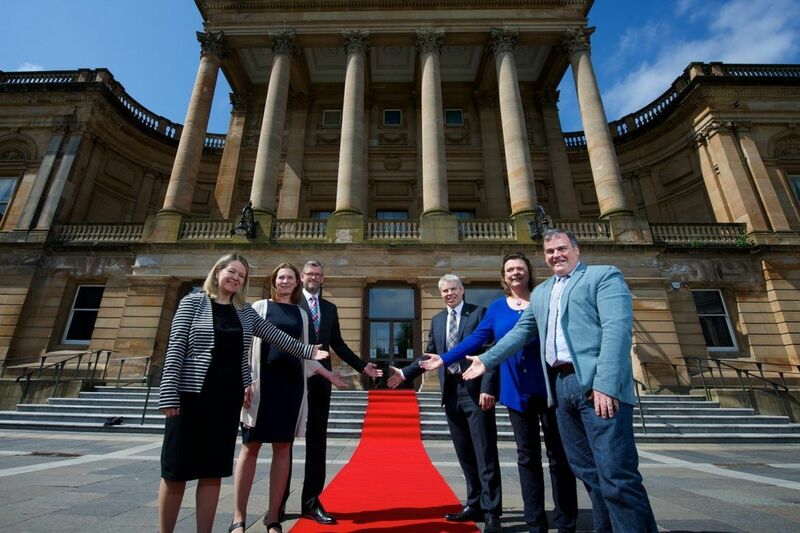 The winner of this year’s SAY Award will be chosen by the judging panel on the night of this year’s Ceremony, which takes place on Thursday 6th September in the elegant surroundings of Paisley Town Hall, with support from Renfrewshire Council.